The Christmann estate in Gimmeldingen in the Mittelhaart Palatinate, is one of the very best wineries in Germany. Steffen Christmann 1s president VDP and one of the leading personalities of German quality winegrowing and has led the estate together with his daughter Sophie, an oenologist with training in Australia and Bordeaux, in recent years to the absolute top wineries. Since 2004, all wines are organically grown, for a short time additionally biodynamic. 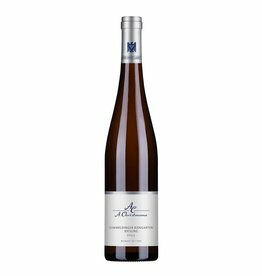 Euphoric reviews as recently from James Suckling, who rated the Riesling Idig GG with 99/100 points and even the dry Gutsriesling got 91/100 points and of course the award "Collection of the Year" 2018 for the great 2017 vintage at wine plus.eu. 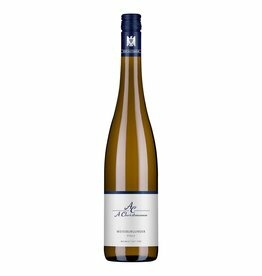 The youngest vintages at Christmann have a brillant clarity and precision, are low in residual sugar and free from any over-ripeness. First class Terroir-Rieslings, the Erste Lagen here are better than most of the Grosse Gewachse from other estates!